The doctrine of grace is as the heart of the Reformed faith. It is at the center of our best hymns, our truest expositions of Scripture, and our theological systems. Yet, even though it is such an important word, many people use it with little understanding of what it means. Even Christians familiar with the idea sometimes fail to grasp all that grace implies. Here Sean Michael Lucas cuts through popular misconceptions about grace and exposes inadequate definitions of the word. 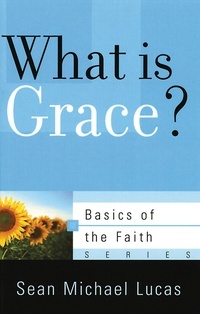 He turns to the authority of the Bible to understand what grace truly is and all that it entails. This theologically rich and pastorally sensitive approach to grace is accessible to all Christians — pastors and laypeople alike.